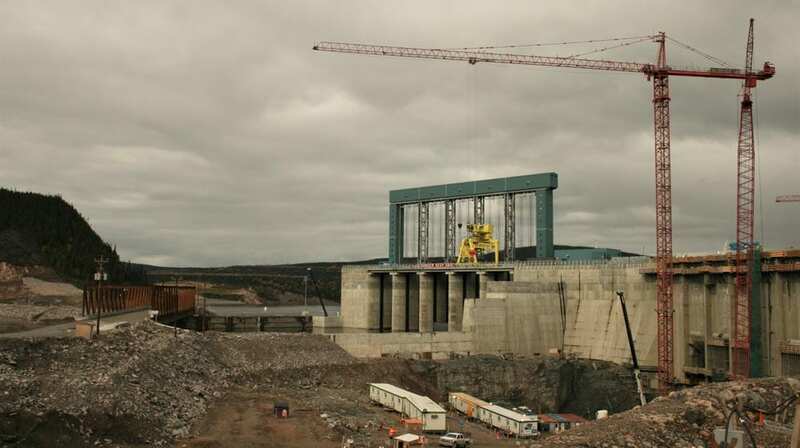 A committee set up to address key concerns about the hydro project at Muskrat Falls in Labrador says people can expect information to start flowing soon. “We want to be completely transparent. 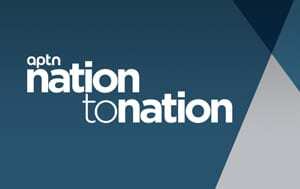 People can be critical of us because we’ve been sort of invisible at the moment because we’ve been too busy trying to get some answers,” said Ken Reimer, chair of the Independent Advisory Committee. 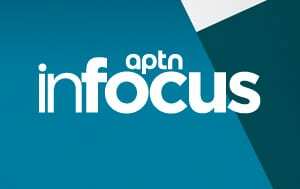 The committee was set up as a key part of a deal brokered between the premier of Newfoundland and Labrador, and Innu and Inuit leaders. That deal effectively ended a five-day Indigenous-led occupation of the Muskrat Falls site in October 2016. At the heart of the protests were concerns that trees and topsoil left in the reservoir will poison the waterways and contaminate traditional foods. “I realize there’s been frustrations because there seemed to be an absence of activity but as soon as I got on board we’ve been going fast and furious,” said Reimer. The goal of the committee is threefold; to mitigate, monitor and come up with a long-term plan to manage any impacts from methylmercury. Instead, the committee has been working flat out for the past few months to go over all the data collected so far related to water quality. The Lower Churchill project at Muskrat Falls is a $12 billion dam under construction about an hour’s drive west of Happy Valley-Goose Bay. When up and running in 2020, it will produce 834 megawatts of power. Billed as a key part of a low carbon economy, dams are central to Canada’s green energy plan and produce over 60 per cent of the country’s electricity. “It’s not clean energy,” said Beatrice Hunter, an Inuk grandmother, and Labrador land protector. Methylmercury is a naturally occurring toxin created by mercury and organic carbon found in soil and vegetation. The neurotoxin accumulates as it goes up the food chain and can make people sick. With the first phase of flooding imminent in the fall of 2016, a sense of urgency kicked the protests into high gear. More than a year after the protests, the reservoir has been partially flooded. Reimer wasn’t appointed as chair of the advisory committee until this past August. Hunter is disappointed and frustrated. She’s facing civil and criminal charges for breaking a court injunction at Muskrat Falls. She spent eleven days in jail last June when she refused to promise a judge she’d stop protesting at the Muskrat Falls site and stay one kilometre away. 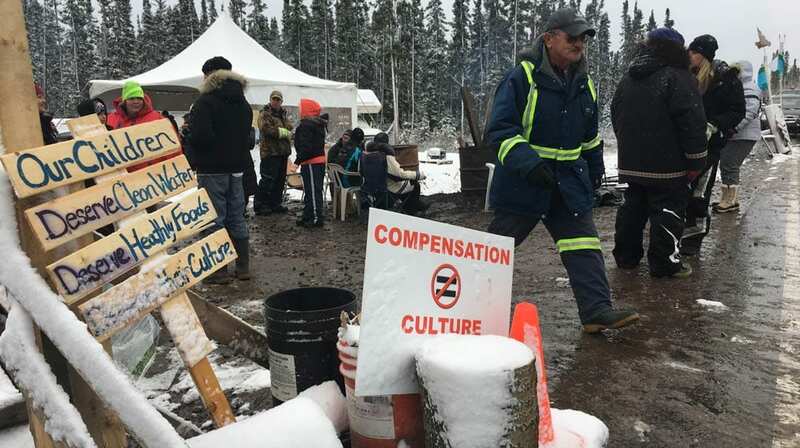 “I was angry that I had gone to jail and Muskrat Falls is still running – they’re not taking concerns seriously,” said Hunter. In late September, Labrador land protector Denise Cole led a dozen people from Labrador to St. John’s to the head office of Nalcor Energy, the provincially-owned crown corporation in charge of the Lower Churchill project at Muskrat Falls. 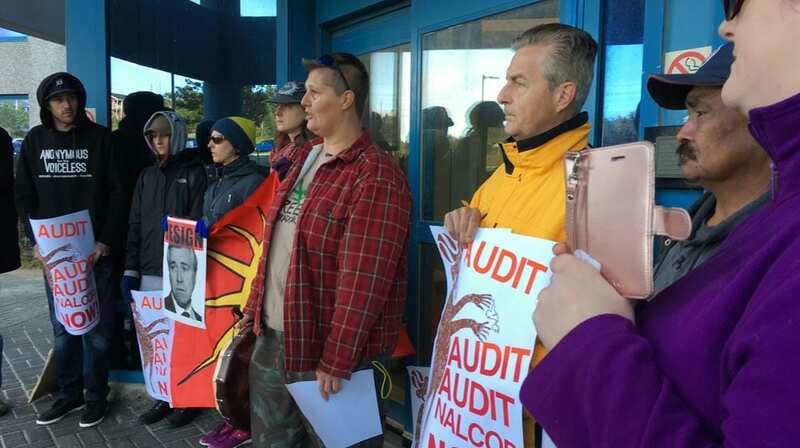 The group blocked the entrances to keep Nalcor employees from getting to work and Cole read a statement. “To Nalcor CEO Stan Marshall, we say directly, make your engineers explain publicly why the methylmercury agreement has been broken,” the statement said. The reason for raising the reservoir water levels in 2016 was to protect infrastructure under construction at the dam during the winter months. Part of the deal with Indigenous leaders included a promise that the water would be released come spring. Methylmercury is formed when the trees and topsoil breakdown, unlikely in frigid water. But spring came and went and the water levels stayed higher than normal. 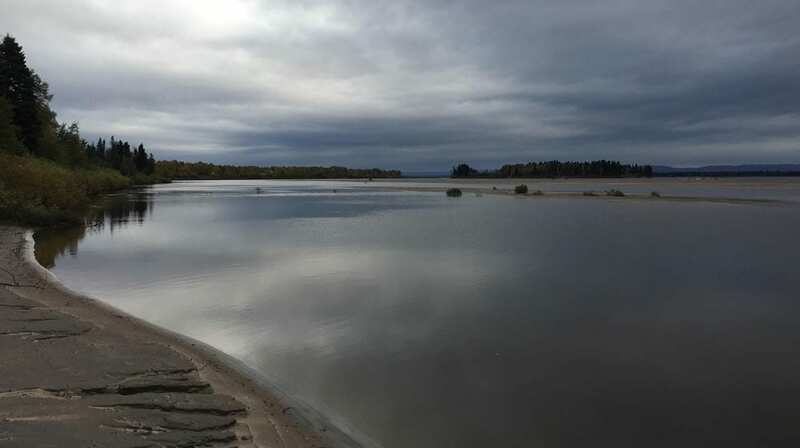 After the summer and a report from SNC-Lavalin, an engineering consultant on the project came news that the water levels will never go down again because of soil erosion along the banks of the river. “It is true that they should have known that and I think some people did know that from the beginning,” said Reimer. Reimer said the committee has Nalcor’s geotechnical reports under an independent review by the Geological Society of Canada and is expecting results soon. Reimer flew over the site in September and said quite a few trees in the area of the future reservoir have been cut down. According to Nalcor Energy, six hectares have been cleared. But Reimer said mitigation is not as straightforward as clearing the reservoir. Soil testing is underway to see what areas contain the toxic ingredients – organic carbon and mercury. Areas previously flooded, even naturally, probably won’t either. And Reimer said it’s possible that the potential methylmercury trouble spots could be covered up instead of dug up. Methylmercury is not a new problem when it comes to dams. But a study by Harvard researchers in 2015 indicated the impacts could travel further downstream from Muskrat Falls than first thought. “The early environmental assessment, it did surprise me that it didn’t include Lake Melville. 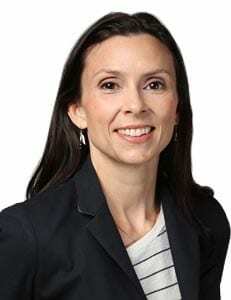 Certainly, the Harvard work has demonstrated that that potential definitely exists,” said Reimer. Lake Melville stretches 140 kilometres in from the coast of Labrador, dotted by communities like Sheshatshiu, Rigolet and Happy Valley-Goose Bay. “It wouldn’t be a summer for me if I didn’t go get my salmon,” said Inuit land protector Marjorie Flowers. Flowers lives in Goose Bay now but grew up in the Inuit community of Rigolet. She was arrested and charged with breaking the court injunction during the 2016 protests. Like Hunter, she went to jail for defying the judge’s orders. 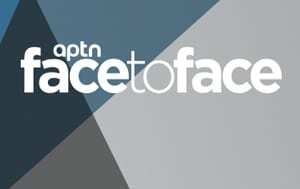 On the day APTN interviewed her last month, she bustled around her kitchen, cleaning a salmon her father caught during the summer in Rigolet. Reimer said based on the preliminary data he’s seen so far he would eat anything of Lake Melville. “And I would feed it to my grandchildren as well,” he said. Reimer is wading into new territory. A reservoir for a dam has never been cleared before. In general, the issues around mercury poisoning are dealt with after the fact with warning signs about consumption. But he says even in a megaproject three quarters done, there’s still time to take action. The committee already issued three recommendations in September. It asked Nalcor to do a feasibility study on removing soil and vegetation, to improve both its water monitoring program and its own model for predicting methylmercury production. But the mistrust of Nalcor Energy runs deep in Labrador. But Reimer said the recommendations do carry weight. Optimistic, but also working under tight deadlines. Reimer’s contract as chair is up in March. He’s confident the work of the committee will continue whether he stays on or not. In the meantime, Reimer is expecting a lot of data to land on his desk by Christmas, from soil samples to water monitoring results, to reviews of previous studies on the amount of methylmercury in both food and people in Labrador. He’s hoping to have information and updates posted on the committee’s future website by the New Year. Please, release the entire document and all data and studies to the Public… not to government first, not to nalcor first… otherwise the real story, if it is detrimental to their project, will never see the light of day. I am glad this work is being done.